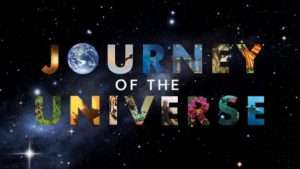 JOURNEY OF THE UNIVERSE is an epic film about the human connection to Earth and the cosmos. Renowned scientists, scholars, and award-winning filmmakers weave a tapestry of scientific discoveries in astronomy, geology, biology, ecology, and biodiversity with humanistic insights concerning the nature of the universe. A panel will lead a Q&A after the film and discuss local resources that address issues raised in the film. A discussion of the book version will take place on Sunday, March 31st from 3:30 – 5 pm at Portia’s Cafe, 4428 Indianola Ave, Columbus 43214. $10 suggested donation or pay whatever you wish.